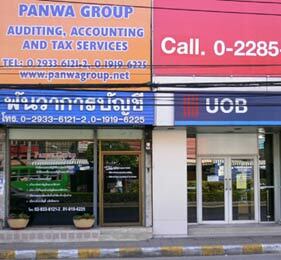 Panwa Group, founded in year 2000, is accounting, auditing and tax-business advisory firm based in Bangkok. Founder and managing director is Mr. Prasert Poothong, a certified public accountant (C.P.A. Thailand) with over 10 years experience at management level. We serve small to medium size local and international companies in various businesses all over Thailand. At present we are providing auditing service to more than 120 companies, and accounting and taxation services to more than 80 companies all over Thailand. Many of these businesses have foreign, non-Thai partnerships. As experienced Thai accountants and auditors we understand the complexity and changes of Thai laws and regulations. We are also constantly updating ourselves to be able to provide our clients up to date information and the best services for the success of their businesses. Whenever necessary we inform our clients of news and changes and updates related to their business and taxation matters. We help our client companies and corporations plan their corporate taxation and accounting. We provide monthly and yearly accounting entry such as Journal, General Ledger and preparing Financial Statement (according to generally accepted accounting principles and under Thai regulations), including submission of financial statement to auditor. Our service includes submission of all tax forms to Revenue Department. We will assign an auditor to verify financial statement according to Generally Accepted Accounting Principle, including test of accounting transcation and other methods in order to present financial status of your company. All Audit staffs have accounting degree from university and continue to study by attending seminars by government departments and private organizations, as well as by in-house learning program. Every year audit staffs have to sit in the internal examination as part of their promotion accessment. Panwa Auditing Company Limited holds the license with Federation of Accounting and Profession under the sector 11 of The Act of Accounting B.E. 2004 for audit company. 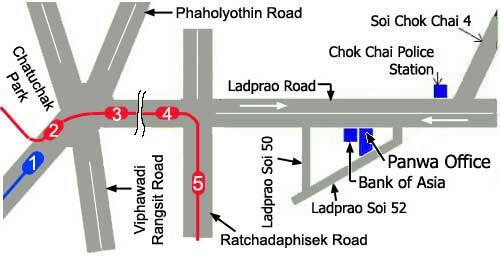 Our license number is 0105546050917 with current validity period from October 21, 2008 to October 20, 2011.